One month after appointing Liquid Soul as AOR, the Central Intercollegiate Athletic Association (CIAA) is rolling out its new multi-platform campaign designed to recognize the nation’s first African American athletic conference heritage and future. The "Live The Legacy" initiative pivots away from the conference's annual changeover to building on the 2018 "Homecoming" theme by forming a multi-year, cohesive approach to growing brand awareness and fan engagement. This long-term theme encompasses all sports and the three pillars of the CIAA, tradition, leadership and community, says Jacqie McWilliams, Commissioner, CIAA. "There are many elements of the campaign that resonate with me personally and will resonate with our students, alumni and fans." The first visual under this messaging is geared to the 2019 finals tournament in Charlotte, NC, with logo and imagery reflecting Charlotte and 2019 in their respective signage. Timed to coincide with the men's and women's basketball season, the campaign will be integrated across all CIAA championships and platforms, including social media, and will be featured on the digital assets of the CIAA’s 13 affiliated colleges and universities’ and partner sites. #LiveTheLegacy, and #WeAreLegacy and the conference’s longstanding #CIAAForLife will be used across all social media platforms. A dedicated Liquid Soul social media team will engage with CIAA's internal team to expand the organization's online footprint, creating and posting regular content about the CIAA, sports activations, athletes and events from the 13 member schools. Touch points also include branding at key points of entry to Charlotte and its surroundings, with a particular focus on the Bojangles Coliseum and the Spectrum Center, two of the main venues for tournament and championship games. This rollout is important to both Charlotte and the league. 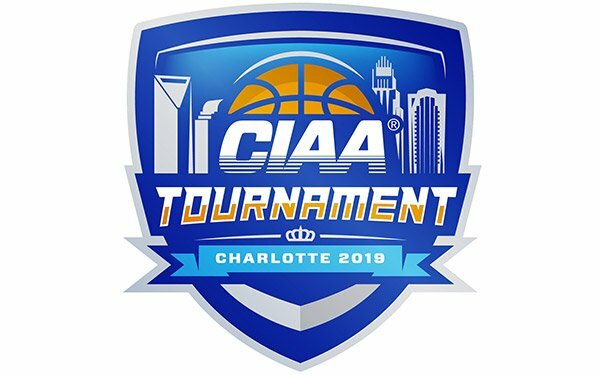 The CIAA is currently ranked third among the most attended and anticipated NCAA events, attracting over 150,000 fans in 2018. The finals tournament delivers a financial haul of $50 million to Charlotte, reports the CIAA.